Below link to a few pics of my new seats. Came from a MY06 JDM Sti, being stripped at Prodrive just know, still had the covers and labels attached. I reckon they came out of Petter's 2006 WRC Car, thats my story and i am sticking by it. Looks good, is your MY05 Crystal Grey or Silver, as I am thinking of a Crystal Grey MY06 once I have seen one close up, currently have Sti8 Black/Blue seats in my WR Blue MY04 WRX. 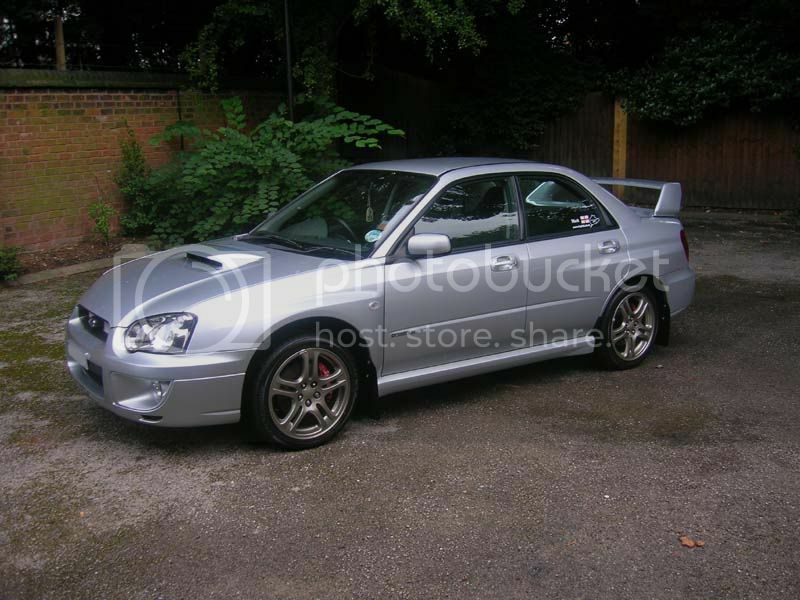 Might even look to get a deal on a MY05 Sti if the new MY06 doesn,t take my fancy. just out of interest, how much were they? I got mine for £550.00 plus carriage. Paid £700.00 for the Black/Blue Sti8 seats about a 18 Months ago, but they were more rare at that time, see lots on Ebay now. 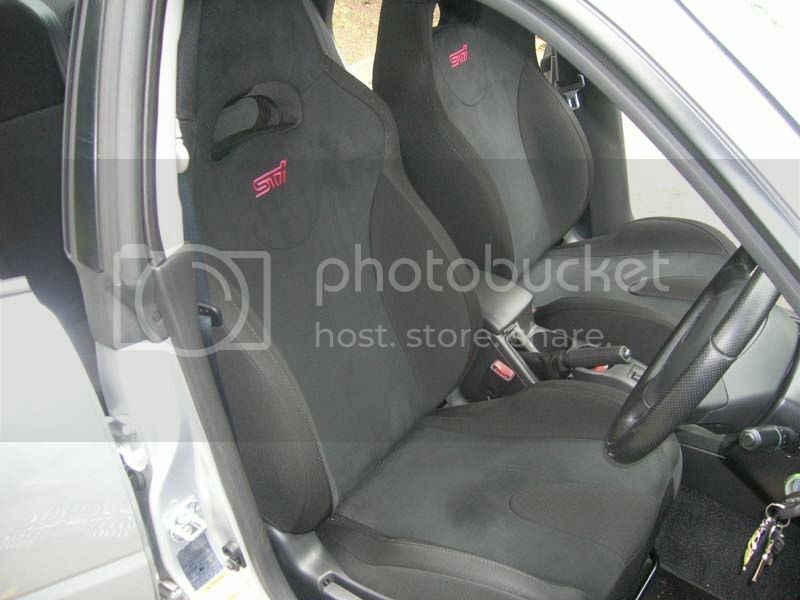 Can see a lot of people looking for seats for MY06 Sti's. as from the pictures and spec's I have seen, they now have side Airbags and are the same flat, shapeless cr*p that are fitted in the Blob Eye WRX and look the same as the ones in the WRX300 Ltd Edition. Please do not quote me on this as is may only be in my imagination. Its a shame that Subaru/Prodrive did not made some like the STi ones but with WRX stiched instead of STi and have them as an optional upgrade. But they were sent in error by Prodrive and were meant to be the blue / black ones. Yeah forgot to mention that !! very nice. out of interest, did they load your insurance for changing seats? any of us have been charged for them. I had them old style seats in my first scooby back in 1997. Couldn't wait to get rid of them, new ones are such much better.